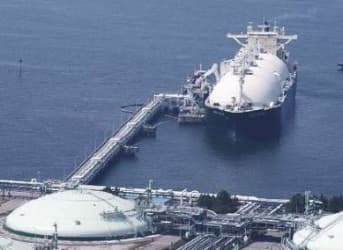 With LNG Export Battle Won, Are Oil Exports Next? Building on its success in getting the U.S. government to approve exports of natural gas, the oil and gas industry has moved on to the export of crude oil. To be sure, the campaign has been underway for quite a while. The four-decade old ban has been under attack over the past year because of the glut of oil that has come onto the market. Increased supplies in places like North Dakota and Texas have led to a significant price discount between the Brent benchmark, which largely reflects international prices, and the West Texas Intermediate (WTI) benchmark based in Cushing, Oklahoma. The Obama administration cracked open the door to some oil exports in June 2014 when it granted waivers to several companies to export an ultralight form of oil. More recently, a former high ranking Obama administration official came out strongly in favor of allowing oil exports. Larry Summers, President Obama’s former top economic advisor, gave a speech at the Brookings Institution on Sept. 9, in which he argued for allowing oil exports. “Permitting the exports of oil will actually reduce the price of gasoline,” Summers said. He also argued it would increase investment and create jobs. “I don’t really understand who the losers are who are very important,” he added. He even said the President should use his executive authority to scrap the ban. In a separate report, Brookings researchers concluded that allowing exports would lower gasoline prices because it would add to global supplies. That’s possible. But it is also possible that gas prices actually go up, instead. Basic trade theory says that when opening up to global markets, the price converges toward the global price. In this case, Brent crude is more expensive, so the WTI price would rise. In other words, with access to more buyers, demand would rise and push up prices for American oil. After all, that is why WTI is discounted to begin with. Now of course, adding more supplies to the global market could bring down the Brent price, although probably not by much. It could also reduce price volatility by bringing in another major producer to the global marketplace. It may even have energy security benefits; by lowering Brent prices, it would cut into the margins of unfriendly nations like Russia, Iran, etc. It could even reduce the influence of OPEC a bit. So, there are good arguments about the benefits of exports. But price isn’t one of them. This is why oil producers want to export so badly. The price they can sell their oil for will necessarily be higher. The big question is whether or not Congress or the White House will go for it. Not before this fall’s mid-term elections, certainly. But beyond that, it is unclear. Medlock is not optimistic. “I don’t see any movement or legislative action to lift the ban probably until the next administration is in office,” he said. The issue has been slow to gain traction in Congress. The House is considering an energy package from Republicans that includes fast tracking LNG exports, but omits oil export reforms. Unlike LNG exports, sending oil overseas ignites a more visceral reaction from the American public. Many fear that exporting oil will lead to significantly higher prices, a concern not lost on members of Congress. “I think the oil exports are definitely on the table. It's a little more complicated, and I think we need to get everybody to the table to work our way through that. But I think we ought to have a robust debate,” Sen. John Cornyn (R-TX) told the DC Examiner. Sen. Lisa Murkowski (R-AK), the top Republican on energy issues, is a bit more confident. She thinks the issue might be ripe in 2015 after the midterms. “I think it may be timely then,” she said on Sept. 18. How do you Spend $35 Billion in a Town of 13,000 People? “Permitting the exports of oil will actually reduce the price of gasoline,” Summers said. This sounds like Obama's thinking. You have less of something and the price goes down? Where did Summers pick this up? He even said the President should use his executive authority to scrap the ban. Let's just scrap the Constitution and allow presidents to rule without any restraint on their powers. Gee. I wonder where most of his campaign contributions come from.